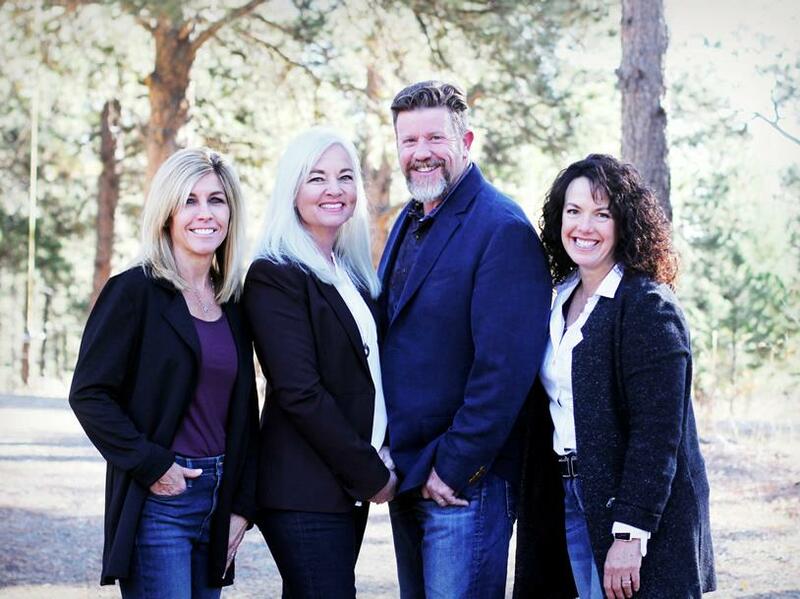 AT THE McWILLIAMS GROUP, our goal has always been to create the very best real estate experience for our clients encompassing residential, ranch and recreation properties in Metro Denver and the Front Range Foothills. We continue to challenge ourselves to improve and evolve, to build on our successes and track record of exceptional service and quality. It is always gratifying when our clients give us great reviews whether they worked with us as sellers, buyers, or both. The McWilliams Group is highly recognized and consistently awarded excellent reviews – a testament to our team’s continuous drive to be the best. Year after year, our team members receive honors such as 5280 Magazine’s Top Realtor. This achievement can be attributed to the dedicated agents of The McWilliams Group, who strive to create the best experiences for our clients every single day. I hope that you give us the opportunity to work with you on your next real estate purchase or sale. And as always, if there’s anything I can do to help you reach your real estate goals, please let me know. Specializing in Ranch, Recreation and Residential Properties, Andrew and Heather combine years of real estate experience and local knowledge to bring you the highest level of customer service and representation. Whether you are buying or selling, we are passionate about our community, real estate, the market and using the latest technology and equipment to exceed your expectations. Call or email us today for a professional and complimentary meeting! AT THE McWILLIAMS GROUP, our goal has always been to create the very best real estate experience for our clients encompassing residential, ranch and recreation properties in Metro Denver and the Front Range Foothills. We continue to challenge ourselves to improve and evolve, to build on our successes and track record of exceptional service and quality. It is always gratifying when our clients give us great reviews whether they worked with us as sellers, buyers, or both. The McWilliams Group is highly recognized and consistently awarded excellent reviews - a testament to our team's continuous drive to be the best. Year after year, our team members receive honors such as 5280 Magazine's Top Realtor. This achievement can be attributed to the dedicated agents of The McWilliams Group, who strive to create the best experiences for our clients every single day. I hope that you give us the opportunity to work with you on your next real estate purchase or sale. And as always, if there's anything I can do to help you reach your real estate goals, please let me know. My husband and I moved to the foothills of Colorado from New York in 1994 to enjoy all the mountains had to offer. Where else can you enjoy such great skiing, mountain biking, and hiking and still be close enough to take advantage of all that downtown Denver has to offer? I have been in real estate for over 10 years and a realtor with RE/MAX Alliance for the past five years. I enjoy meeting new people and helping guide them through the complicated process of buying or selling their home. My clients say that I am honest and hard working-always putting their needs first. I have worked as both an accountant and a teacher in previous careers and use the skill sets I have learned to make me a better realtor. With an accountant's attention to detail and finance, and a teacher's focus on education and community, and a realtor's desire to get the deal done, I can assist you in making your real estate dreams become reality while ensuring that it is a positive experience for all. Whether you are planning on buying or selling, would like an estimate of the value of your home, or would like to understand the real estate transaction process better, call me today. I would be happy to help! June McKenzie, Broker Associate with The McWilliams Group at RE/MAX Alliance, strives in life to make a positive contribution to the well-being of others. Buying or selling a home is one of the most important decisions you'll undertake; she is committed to ensuring you have an excellent experience. June comes from a star-studded background in administration and management. She is described as a compassionate and results driven individual, determined to provide the best service to her clients, colleagues, and her community. Landing in Conifer, CO in January 2014 with her partner Noah, and German Shepherd, Jasper, she quickly made her mark in the community. You'll find June volunteering her time at the local animal shelter ( www.ihms.org ), or at the Conifer Area Chamber of Commerce ( www.goConifer.com ) as an Ambassador. She is also the Vice President of Education for her local Toastmaster International Club ( www.toastmasters.org ) in Evergreen, where she helps members grow into the speakers and leaders they desire to be. June grew up in the suburbs of Los Angeles, in a home where hard work and determination were instilled at a young age. Her role models were her grandmother, who persevered torn Germany during WWII. And her mother, who came to this country determined to succeed at whatever came her way. June joined The McWilliams Group at RE/MAX Alliance in 2016. A team with over 25+ years' experience providing exceptional real estate services to their clients. June states, "I look forward to the opportunity of partnering with my clients and tackling their next real estate endeavor. Cheers!" June's hobbies include: wilderness camping, off-road adventuring in the family's built up Toyota 4Runner, mountain biking & hiking on the local trails, competing in speech competitions with Toastmasters International, and enjoying life at 8,900 feet with her family. And for the last 20 years, she has toured on her motorcycle in the USA and Europe.